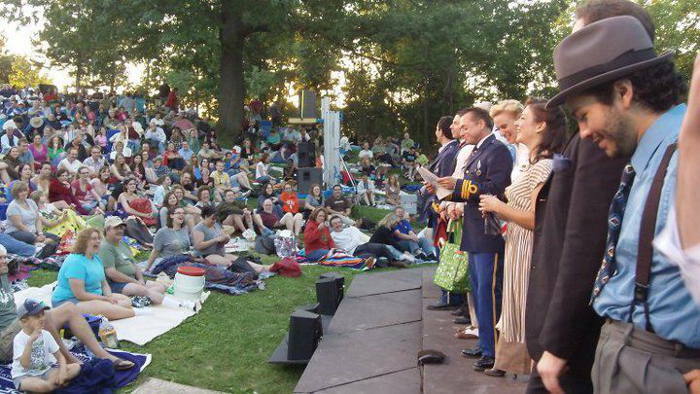 I have been a part of one of Buffalo’s most spectacular summer traditions-Shakespeare In Delaware Park (SDP) in many ways over the years: as an intern, actor and an always avid audience member. 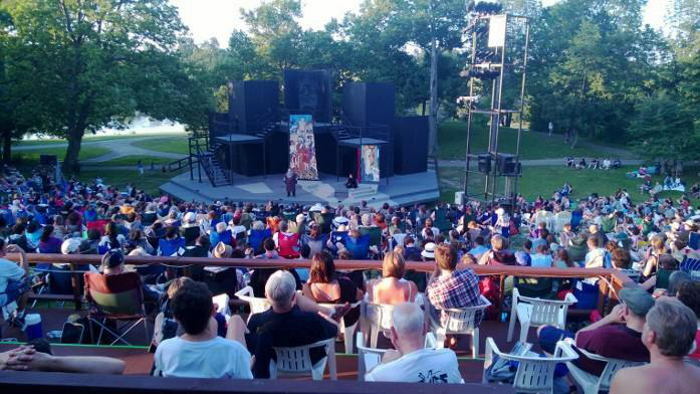 This past week I was thrilled to have a chat with Lisa Ludwig, Managing Director of SDP who helped me to fill in Step Out Buffalo’s Four Reasons that Shakespeare in Delaware Park is the perfect evening beneath the stars. I’ve said it before and I’ll say it again, Free is the best. 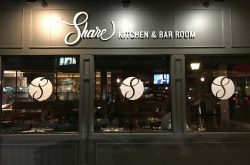 Sure you might spend a few dollars on pizza slices, or get a little fancier with cabernet and cheddar but either way the performance is cheaper than dropping $30 on a movie for two and is far more memorable. What could be better than enjoying a little FREE culture with hundreds of your closest friends? Whether a couple, groups of friends or a small family- all are welcome on Shakespeare Hill in Olmstead Park. The festival itself has a long history according to Ms. Ludwig, “Shakespeare In Delaware Park (SDP) was founded by Dr. Saul Elkin in 1976 as a summer apprenticeship program for students from the State University of New York at Buffalo to work alongside professional actors.” Dr. Elkin has brought us many wonderful performances over the years and this summer will offer a little more history with Henry V, Shakespeare’s play about England’s King of the same name and his life before and after the battle of Agincourt in 1415. Henry provides audiences with a historical education filled with blood, romance, and passion that are not to be missed. Many people cringe when they think of Shakespeare as they flash back to Freshman English, big words, tights and complicated sentences. For this crowd, I’d recommend the season’s second offering, Comedy of Errors which according to Lisa Ludwig, will be presented in a steam punk fashion with costumes and scenery inspired by the steam powered machinery of the Victorian Era. 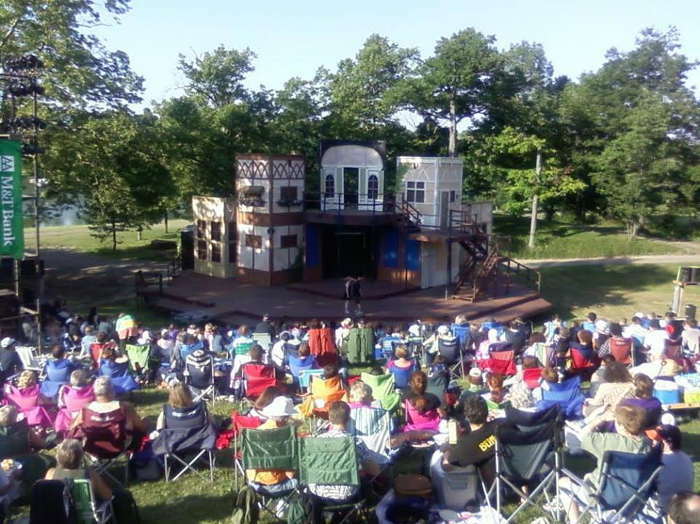 Comedy of Errors is also Mr. Shakespeare’s shortest play, and is filled with slapstick, “Looney Tunes style” comedy that is funny to watch even if you don’t always understand. According to Lisa— “Shakespeare in Delaware Park is where some couples have their first date, where families and friends come together …after 39 years people are bringing back their children or grandchildren.” From this writers point of view it’s a place where you can find sweet swashbuckling, thrilling drama all while feeling part of the performance when the actors pass the hat at intermission and intermingle with the crowd. 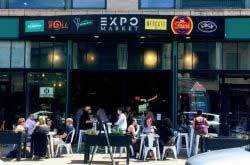 It’s also a place that blends the classes of Buffalo: there are no seats that are better or worse, everyone sits on the grass together watching the same show with their own unique experiences and audience perspective.